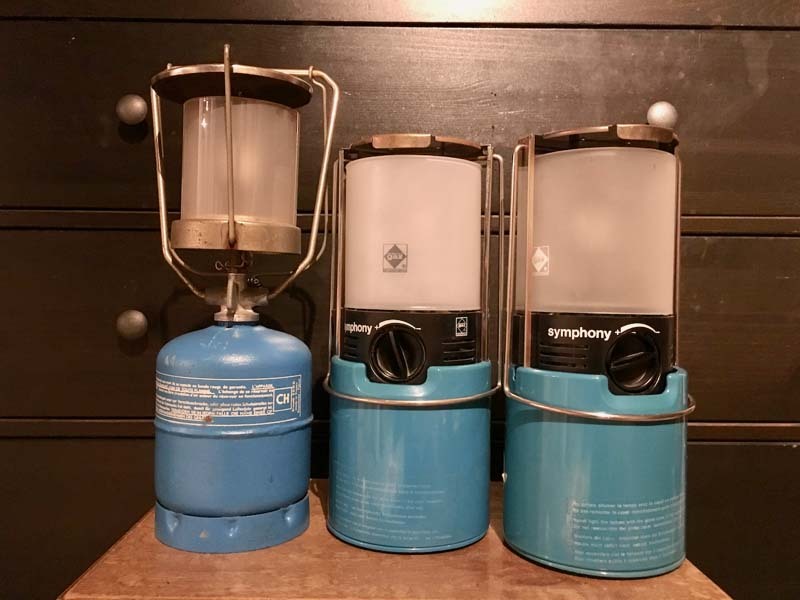 Over the weekend I picked up a few older, discontinued Camping Gaz brand lanterns from one of those gratis Trash-to-Treasure/Junk or Trunk type events. I'm guessing they are within ten years old or so. Since I have no experience with these types of items in Switzerland, I thought rehabbing them could make for an interesting project. 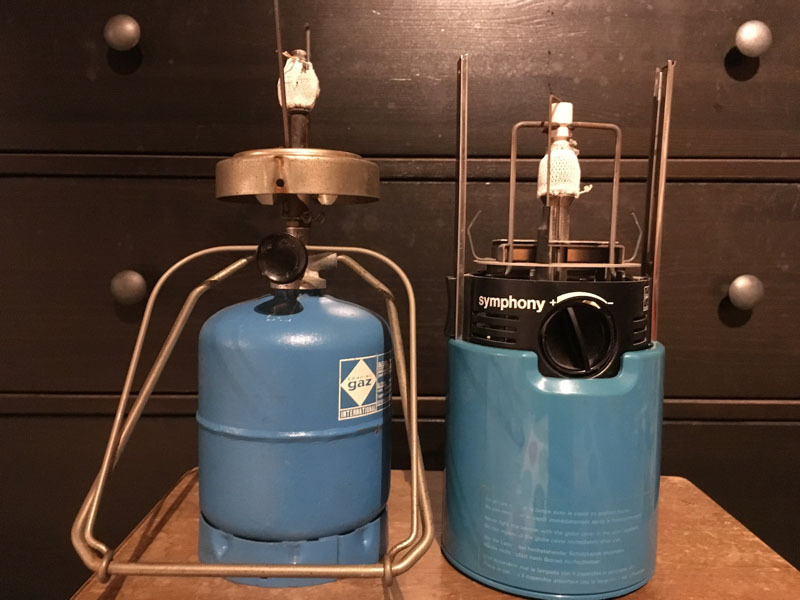 From web info and image searches, two look to be identical Symphony models with integrated Piezo ignition and the third could be a Lumogaz or Lumogaz R?? Unfortunately, I can't find information on operation/maintenance or any parts diagrams though - in English or German. All three have some level of liquid fuel in their canisters. The Symphony models have intact mantels (Type M?) while the Lumogas mantle (Type ?) has a small tear (visible in photo). So far, I've looked them over, blown out the dust and wiped them down with a damp cloth. The lanterns don't look to have been abused but do not appear to have been used or cleaned for some years. Even so, one of the Symphony models does light and burn properly. The second one appears to have a misaligned valve control that I'm reluctant to test. For further cleaning and inspection though, I can't figure out how to get the cartridges out of the Symphony models. The Lumogaz cartridge looks to just screw off. If removed, will these cartridges reseal? Are they single use disposable? From the internet, the Lumogaz looks as if it might be refillable, but I have no idea how that process would even work. What type of fuel is even in there?